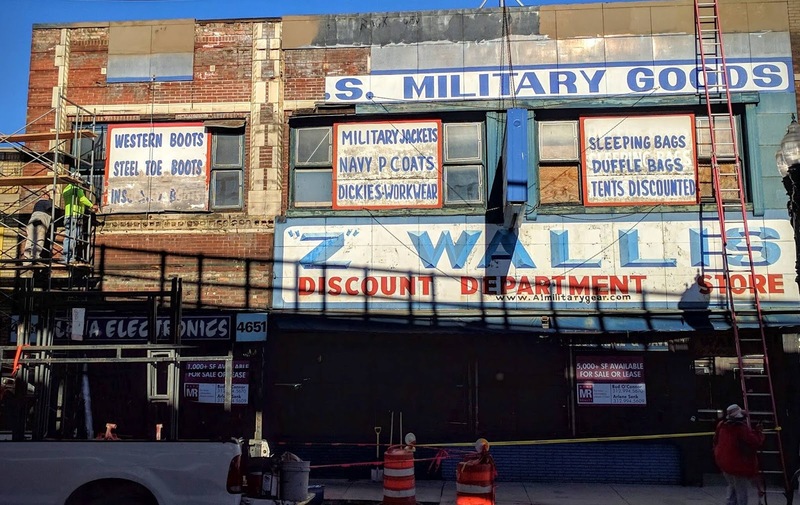 The 4600 block of Broadway is entering a sort of renaissance. 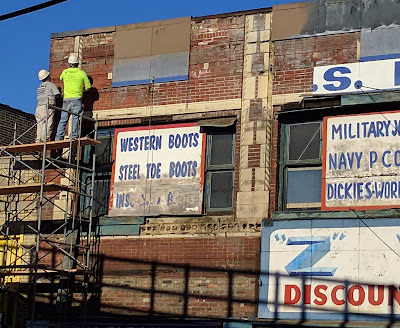 We are told that the old Army Surplus building at 4647 N. Broadway is currently being evaluated to see how badly the terra cotta and brick has deteriorated over the years. 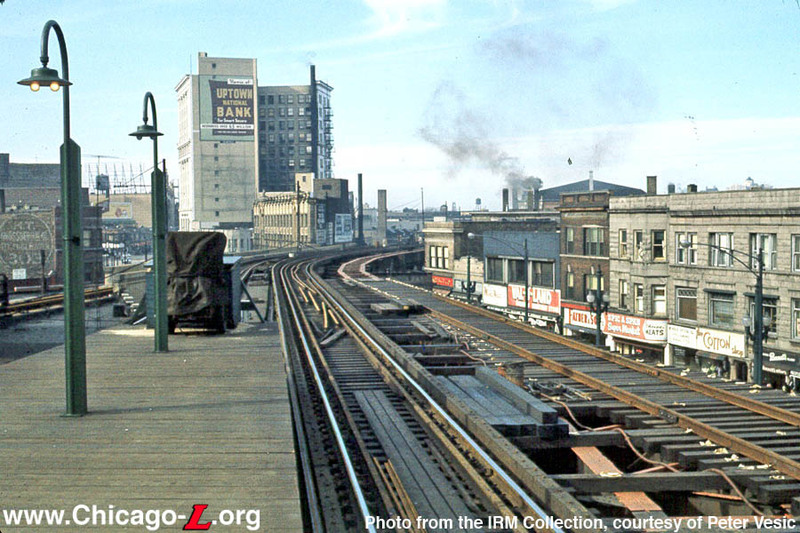 The building has been covered in the blue-colored siding since at least 1961, which we know thanks to the chicago-l.org photo above. That has somewhat protected the building over the years. 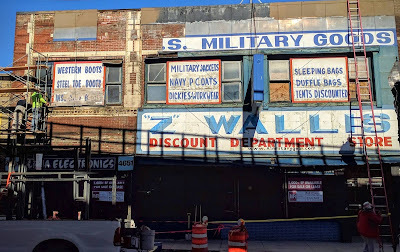 Also interesting to note that this building was at one time a 4-story building. It is unclear how or why the building lost two stories over the years. Reminds us of the Riviera building as the horrible siding was removed back in 2007. Can't say we are a fan of the 1960s plan for placing metal siding over beautiful buildings to defer maintenance. Once plans for the building are released, we will let you know. 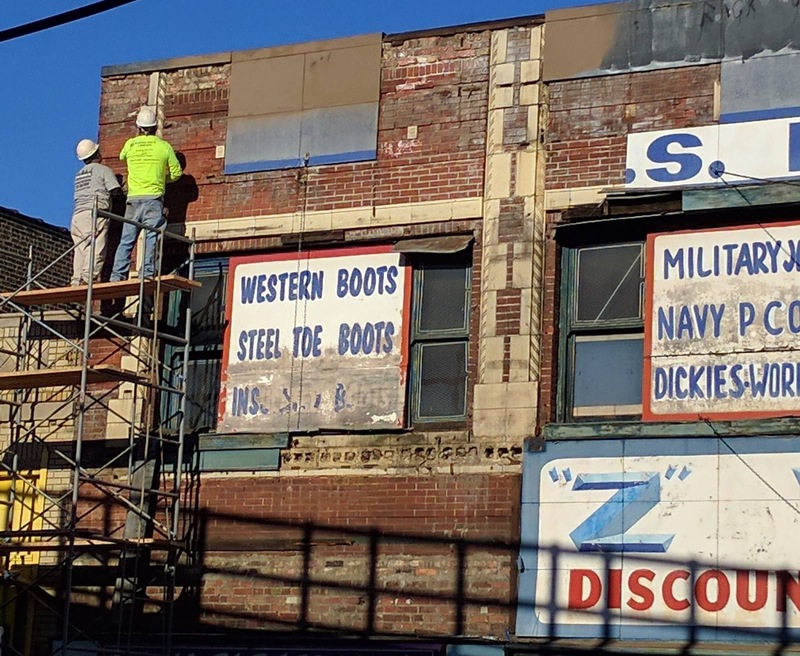 Regardless of how you feel about gentrification in the area, it's a real treat to watch this beautiful architecture getting restored to its former glory. Kind of sorry to see the signage come down. This place was a sort of time capsule of the 60s/70s era of Uptown.